Here is a sampling of the 'baby' Shiva Lingams that are available for purchase in support of Elementals of Life and the Peace Across the Planet project. These baby Shivas were purchased by EoL so all proceeds funds from sales stay 100 % with EoL. 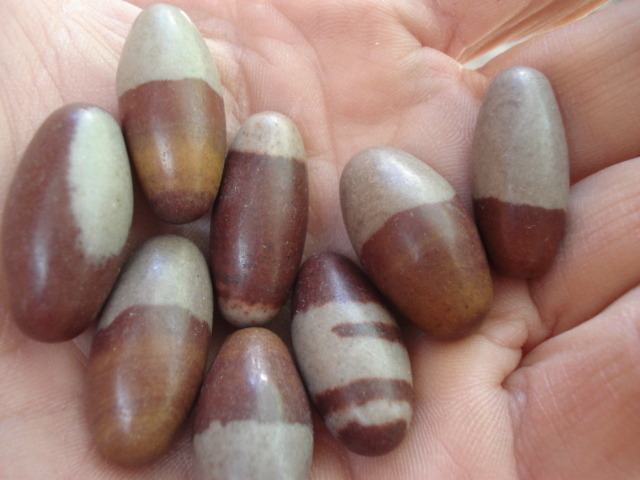 Other Shiva Lingam stones (i.e., bigger ones) are also available for purchase from AhhhMuse.